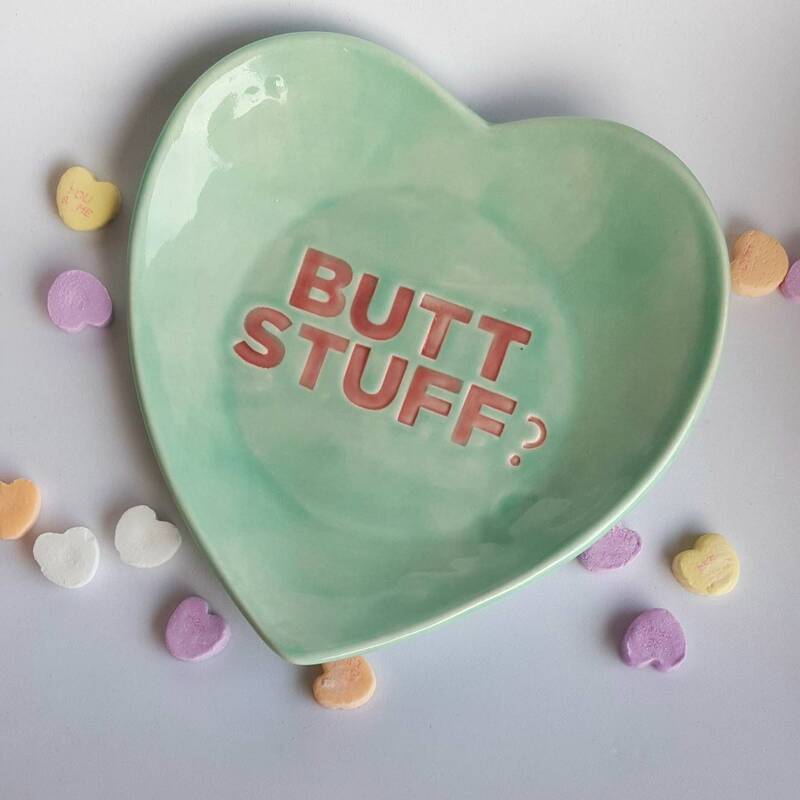 What's your Valentine's message? 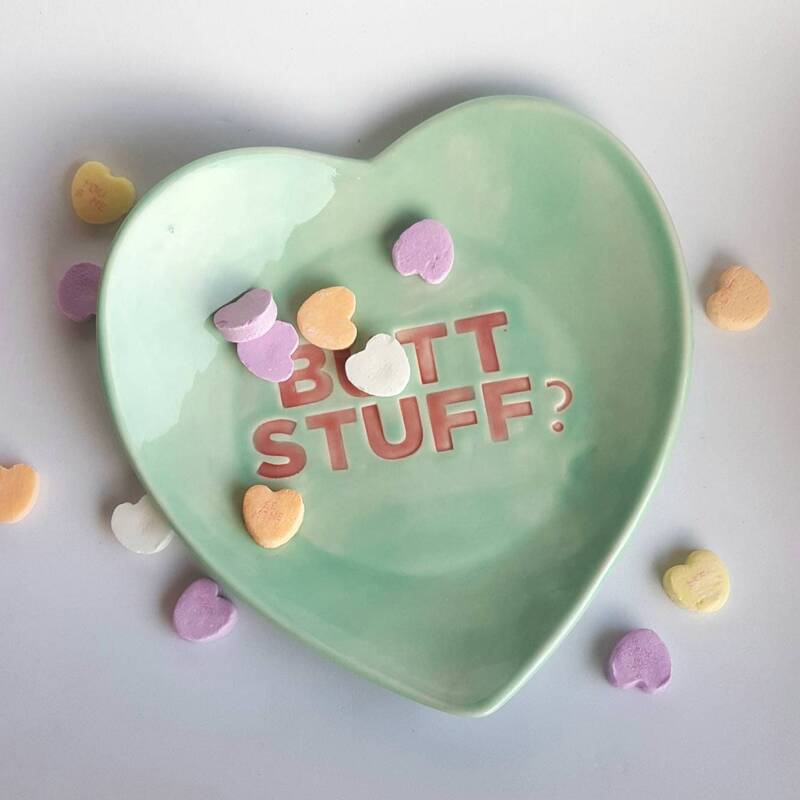 Our adorable heart-shaped candy dishes will tell your boo exactly how you feel. 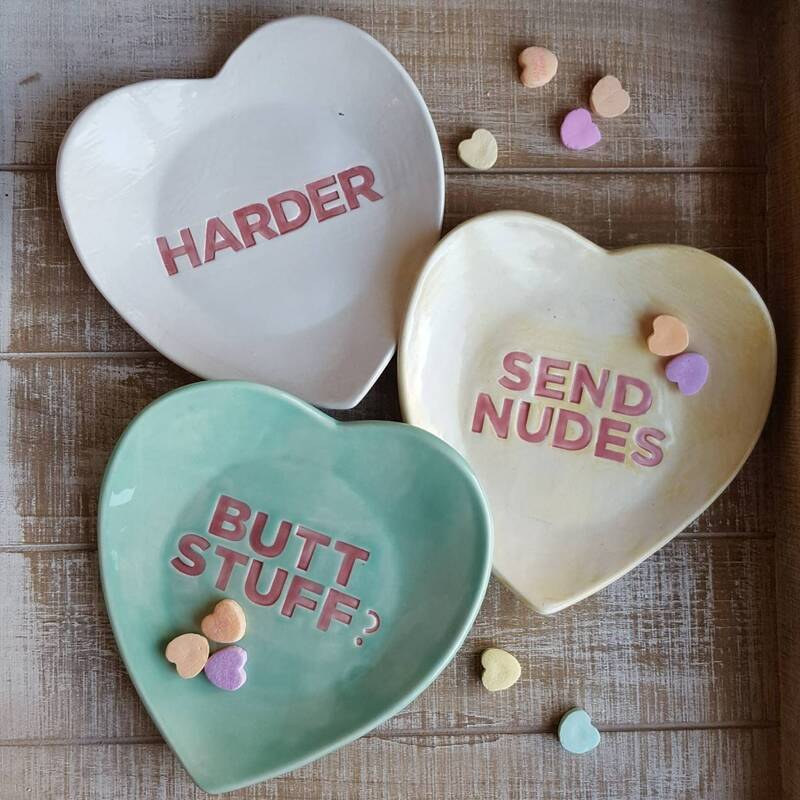 Each plate is formed and stamped by hand. 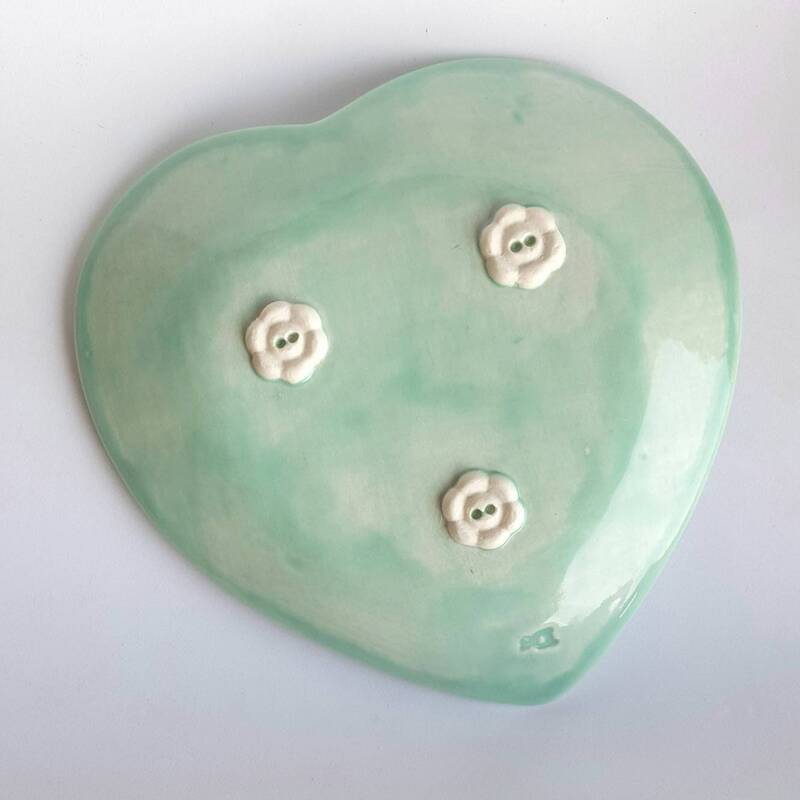 Yummy glaze colors that are food-safe pair with porcelain for smooth surfaces, and tiny flower feet elevate each little dish. Approx. 6" across. Ready to ship.